The Painted Plate and Old Town Mercantile, two Old Town retail businesses, closed on March 31. When Tamara Bauer opened Old Town Mercantile last October, she probably couldn't have imagined that she'd be closing up shop just five months later. Bauer launched the Mercantile as she was downsizing the Painted Plate, a pottery painting business that she owned for nine years, and ran out of its 16067 S.W. 1st St. location in Old Town for the last seven years. The two businesses shared a space, and as the Painted Plate's sales started to drop off, Old Town Mercantile, which sold products from nearly 30 local artisans, was just taking off. "The Mercantile did really well, and so I decided to phase out the Painted Plate," Bauer told the Gazette in an interview last week. 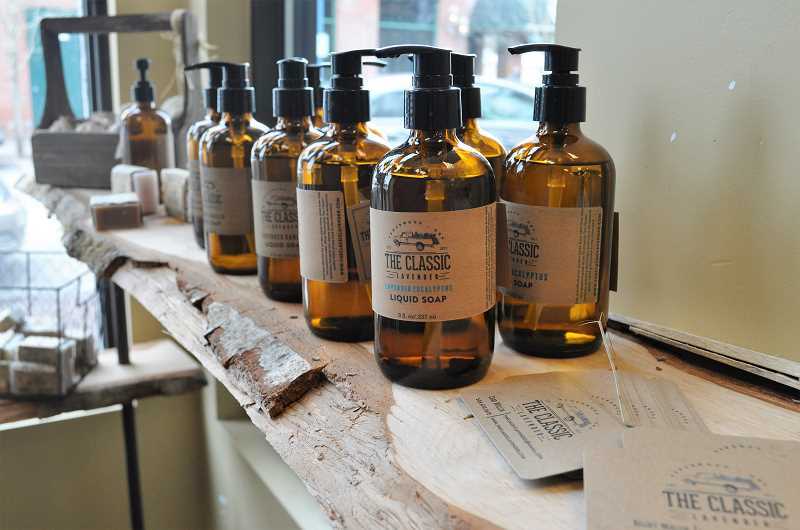 "… (The Mercantile) did well enough that my accountant was pushing me to open somewhere else." Despite promising early sales, Bauer had her last day of business for both Old Town Mercantile and the Painted Plate on Saturday, March 31. Bauer was on a month-to-month lease with the building's owners, and she remembers getting a call just as she was decorating her space for St. Patrick's Day. "I got a phone call saying that they rented the space out to somebody else," she said. "That was all the notice I had… They told me somebody had come to them a couple months before and had offered them more money for the space." Bauer said her rent hadn't increased since she started leasing the space seven years ago, but that she might have considered paying more if given the option. The space is owned by Sherwood Old Town Properties, LLC and managed by Regency Management, Inc.
Last week, Escape to Yoga announced that it would be moving from its current Old Town location into Bauer's old location. The business' press release cited habitability concerns as its reason for relocating. Bauer announced that she'd be closing shop via a sign in her window, which Sherwood residents shared on social media. Dozens of people reacted and shared that they would miss both the Painted Plate and Old Town Mercantile. Despite the abrupt closure, Bauer told the Gazette that she wants to focus on the positive memories she has from owning and managing both businesses. At the Painted Plate, she saw toddlers making their first art projects; family pets marking their paws for Christmas tree ornaments; senior citizens and special-needs customers enjoying a creative outlet they could partake in; and a good share of first dates, promposals and family outings. "A lot of people used this space to grieve for the loss of loved ones, or if they're going through a hard time," Bauer said about the Painted Plate. "Coming in here and talking and crying and painting about a person that they've lost, those are some good memories — just being in there with people who need to grieve." Bauer was still receiving calls last week from potential customers wanting to reserve party space at the Painted Plate. 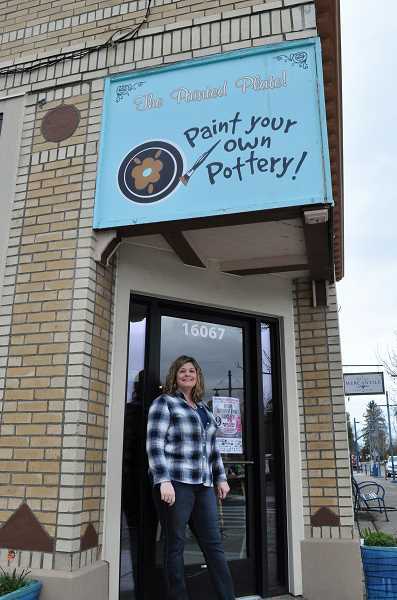 She referred them to Happy Pottery in Wilsonville. Although Old Town Mercantile hadn't hit its half-year milestone yet, Bauer shared a sense of pride in what she was able to accomplish in its short time in business. She said that many of the local artisans she featured had only sold their products online or in pop-up shops before, and that having a physical space to sell helped take their business to the next level. "When you create something, and you go to sell it — when somebody else loves what you made, there's a pride in that, and it has a meaning all of its own," she said. "That's what I put out there, and that's what's been taken away." Bauer has been approached by owners of other retail spaces in Sherwood wiling to rent to her, but she's decided to take a break to regroup. She left open the possibility of owning another store in the future, though she said it likely won't be located in Old Town due to logistical problems. "The parking in this town is terrible," she said. "You can really only grow so much as a business here." For now, Bauer will rely on the support from her family and her strong Christian faith when deciding what to do next. She said she might like to work for another small business owner and share her talents with them. "I'm excited about what's next for me for my life," she said, "because I've been here a long time."